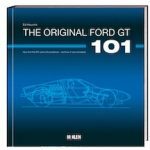 As with several other automotive histories author Greggio has to his name, this one too ranks among the serious, reference-level literature. It is the story of Austrian Karl (later Carlo) Alberto Abarth (1908–1979) whose name and accomplishments are not nearly as well known as the staggering 7300 races between 1958 and 1971 in which cars built or enhanced by him were victorious. From all-out racecars to high-performance tuner items such as exhaust systems, manifolds, valves and water pumps, Abarth’s firm made a mark on motoring history. The best drivers of the day drove for him and, from Allemano to Zagato, the best houses of the day bodied his cars. Add to that his pioneering work and personal race victories as a motorcyclist and you have one inspiring story. His appreciation of history results in an extraordinarily readable setting of the scene: a synopsis of the place in the world of the Austro-Hungarian empire at the dawn of the 19th century, the preeminence of the city of Vienna (Abarth’s hometown), and the paternalistic Biedermeier society. All these things are crucial influences on young Abarth and one can only hope that especially American readers won’t skip over this part of the book! 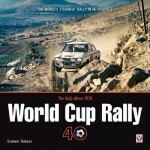 Except for Abarth’s early years which are described with reference to specific biographical influences in regard to family and society, the book’s subsequent focus is his professional rather than personal life. As an example, his two marriages (the first one, incidentally, to the secretary of Anton Piëch, husband of Ferdiand Porsche’s daughter Louise) are given only a few sentences. In other words, this is not a biography but a company history. The book is very nicely designed and richly illustrated with extensively captioned and well-reproduced photos, ads, correspondence (usually not translated but summarized in English), brochures, technical drawings and cutaways. Many of them are previously unpublished and come from the Abarth family archives. Sidebars contain detailed specs of the specific cars being discussed. 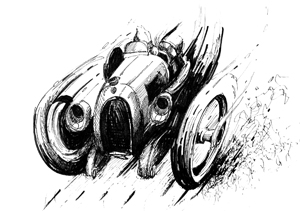 This book is the English version of the Italian Abarth: L’uomo, Le Macchine published the same year. It remains Italianate in word use and sentence structure even in the English translation. 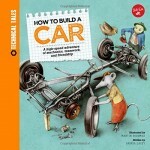 Two of the more entertaining examples: p. 175 describes the need to “improve longitudinal habitability” in a car. From the context it is easy enough to translate this into needing more headroom. Elsewhere, we hear of a car whose “smooth, sober lines [are] not very original and yet fairly equilibriated, in spite of the feasibility of the cockpit in relation to the length of the bonnet and boot.” Say again? These linguistic contortions make the book at times an effort but, no matter, it is well worth it. It ends in 1971, when Abarth merged with Fiat. The Abarth name continued into the 1980s, even if latterly only on mediocre badge-engineered products until Fiat relaunched Abarth in 2007 as its in-house tuner and as a racing team in purpose-built premises known as Officine 83 at the Mirafiori complex in Turin. 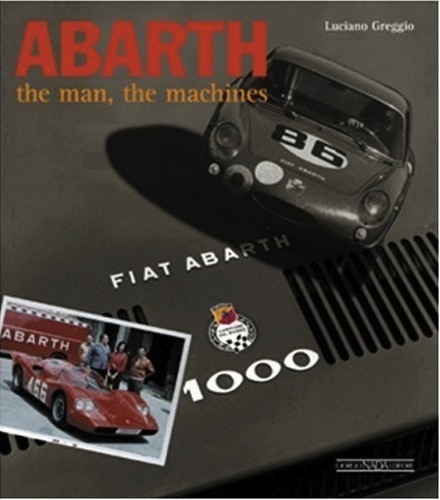 Appended, and printed on different paper stock so as to set them apart, are over 100 pages of year-by-year listings of events won by Abarth cars 1949–71. Even at that length the list is not complete because it is compiled largely from Fiat records which had several incompletely reported years. 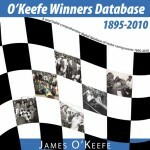 A separate section lists the 113 records Abarths established at Monza 1956–66 along with relevant stats (time/distance/average, car/driver etc.). 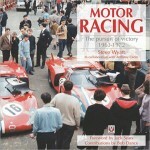 A short Bibliography and detailed Indeces (general, technical specs, victories) round out the book.